tomatoes , strawberries , and salad stuff . well as a bush variety), and am wondering about trellis requirements . read that these can get over 7 feet tall , and that's why I ask . you want to do and let them sprawl around after they hit the top. have to worry about them blocking the light to other plants. have that much field space or fence space for them. interwoven cement reinforcing is likely just fine to use. Hello bird and others, I'm finally back. Had some surgery that didn't produce the expected results, left me confined to a wheel chair. All the gardening I do anymore is in my mind. You are correct about the greasy beans, they climb like crazy. I used to use a woven wire trellis set to 6'. The beans would climb to the top and either fall down and reclimb or become a woven tangle between rows (the shade is nice in hot weather). I've had to crawl between rows to pick. from you here (and via e-mail if you want to write anytime). drought and i must not have gotten enough water to them. bean crop of between 50-100lbs and had about 20 lbs. May towards the middle and end and into early June. Please don't feed the trolls. Killfile and ignore them so they will go away. below 20 in the forecast, etc.). handbasket. We'll see if it does anything. i've yet to manage to kill off all of the garlic. ha, there's always at least one weed to fight off. 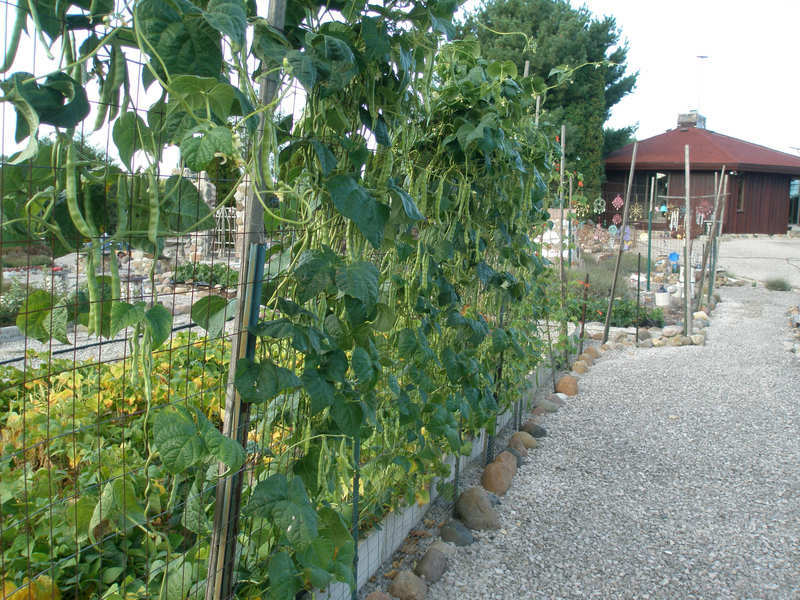 into growing vegetables or dry beans or more flowers. will be ready for onions or something else.